The fall season is upon us with daylight savings time near. 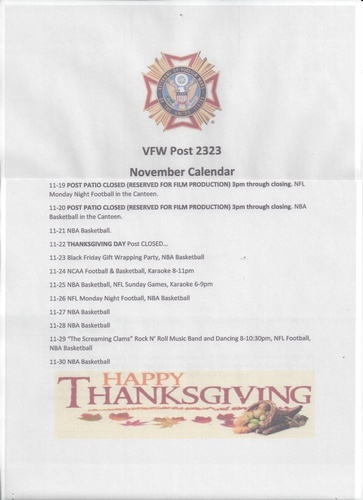 Time to reboot your cell phone calendars or print the attached November calendar of events for the fridge. Hope to see you at the Post as the holiday season nears.